If 2013 and 2014 were disappointing, 2015 could turn out to be an annus horribilis for traditional television in the United States. Especially if the remainder of the year is anywhere near as bad as research firm Nomura says January was for live television. In January, total live TV ratings plummeted as much as 12.7 percent year on year, Nomura said in a recent note to clients, citing Nielsen data. Putting things into perspective, analysts Anthony DiClemente and Benjamin Black wrote that it was “one of the worst declines” they had seen since the company began monitoring major TV networks. It was also the eighth straight month of double-digit declines in live TV viewership. Although every media company tracked by Nomura suffered in January, some were hit harder than others. Viacom, for instance, witnessed a 23 percent ratings decline across its various TV networks, with MTV and Nickelodeon being the chief culprits. AMC Networks wasn’t too far behind either, with 19 percent. Meanwhile, Time Warner was at the other extreme of the spectrum with a fall of just 3 percent. Why this matters: You don’t have to be an analyst like Messieurs DiClemente and Black to conclude, as the duo did in their note, that the fortunes of streaming services and live television are entwined. That is to say, they are inversely proportional. The writing is on the wall for traditional television as more and more people are cutting the cord and moving to streaming services like Netflix, Amazon Instant Video, and Hulu—not to mention the growing population of so-called “cord-neversm” people so strongly opposed to the idea of cable-TV subscriptions as to never bother with them. 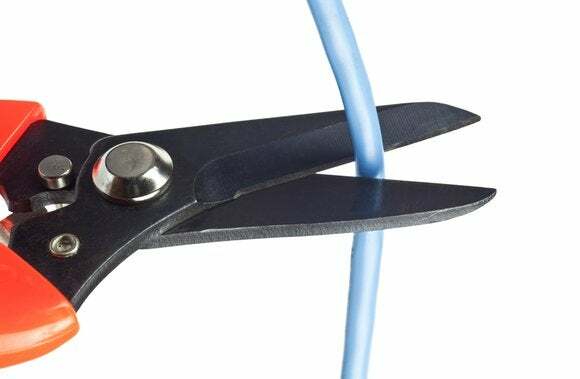 All this cord-cutting is beginning to adversely impact the bottom lines of TV companies. A case in point is Rupert Murdoch-owned media giant 21st Century Fox, which on Wednesday lowered its profit guidance for the fiscal year 2016 , owing, among other things, to the ongoing plunge in broadcast TV ratings.